From your School Management page, click the 'School Groups' section. Select the 'Add New Group' button to create a new group. Start with naming your group. Description is optional. You can also choose whether it is available to the whole school, or just when looking at an individual house. You have the option to create a Smart Group, by clicking the toggle next to the option. If you don't select this, you can create the group manually by selecting each student. Scroll passed smart groups to see how. Create your own smart group by selecting different filters. Hint: One idea for an easy group to make are your year-level groups (e.g. Year 11, Grade 10). You can also use student attributes which you create yourself, using the additional information tool. The possibilities are almost endless. Feel free to message us from your account for specific help with your groups. 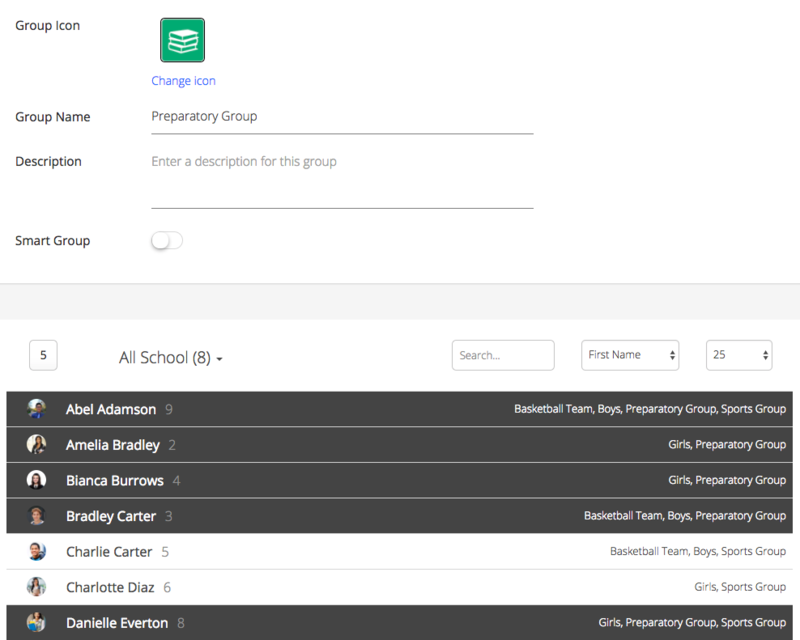 To create your group manually, simply leave the Smart Group toggle off and select the students manually. 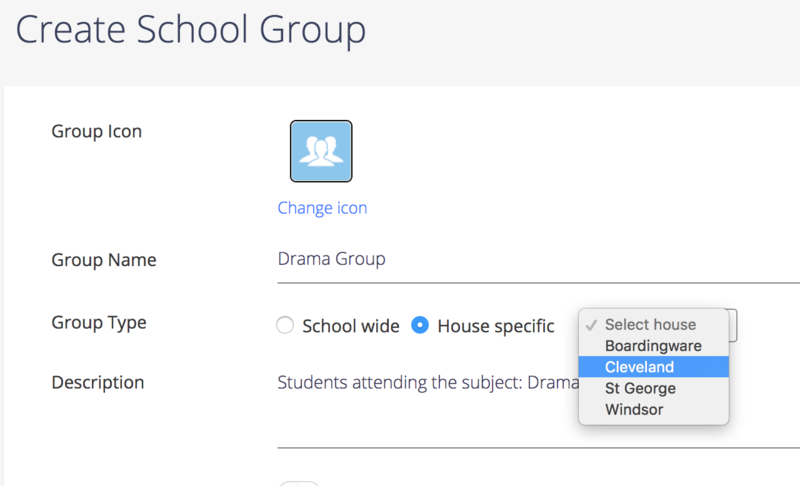 Your will now be able to manage your group from your 'All School' page. Now you have created a School Group!